If we travel the world, we would realize that this earth has so many beautiful place to be seen. Thank to God who had create those awesome nature phenomenon. As the world contemplates its new murky, unappetising shade, we look to the lakes and rivers that are naturally colourful – but alas, totally unsuitable for diving. 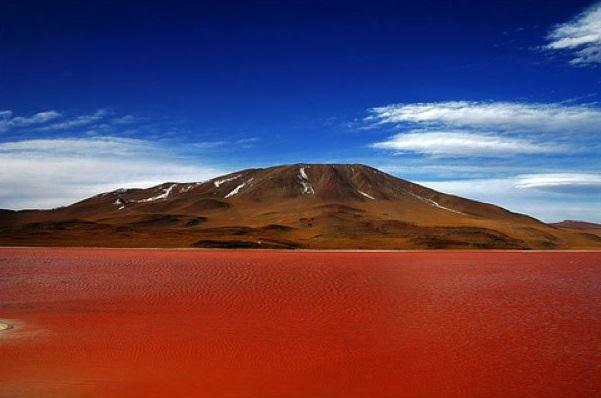 Here is 15 most beautiful coloured lakes and rivers in the world.. 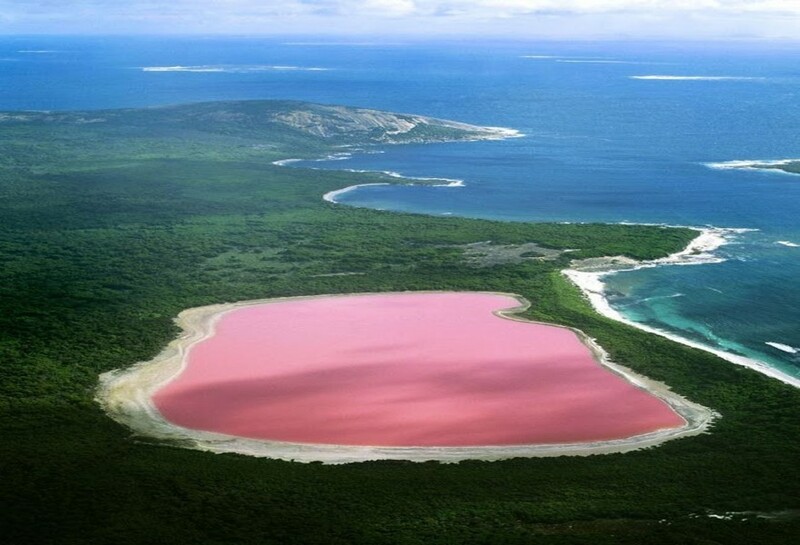 The water of this bubblegum pink pool – on Middle Island, off the south coast of Western Australia – doesn’t lose its colour, even when taken out of the lake. As if its colour wasn’t off-putting enough, Devil’s Pool has a distinctly sulphurous whiff – so you won’t want to hang around for long. 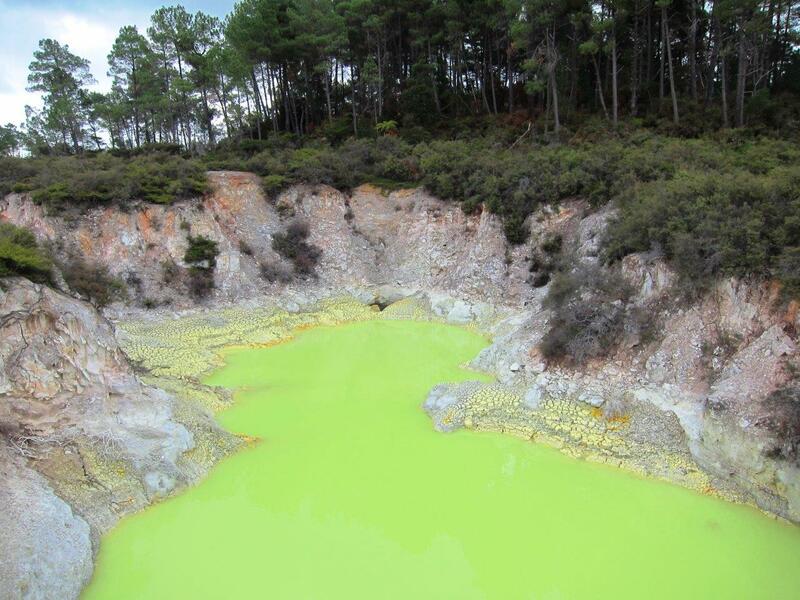 Sniff it out at the Wai-O-Tapu Wonderland in Rotorua. 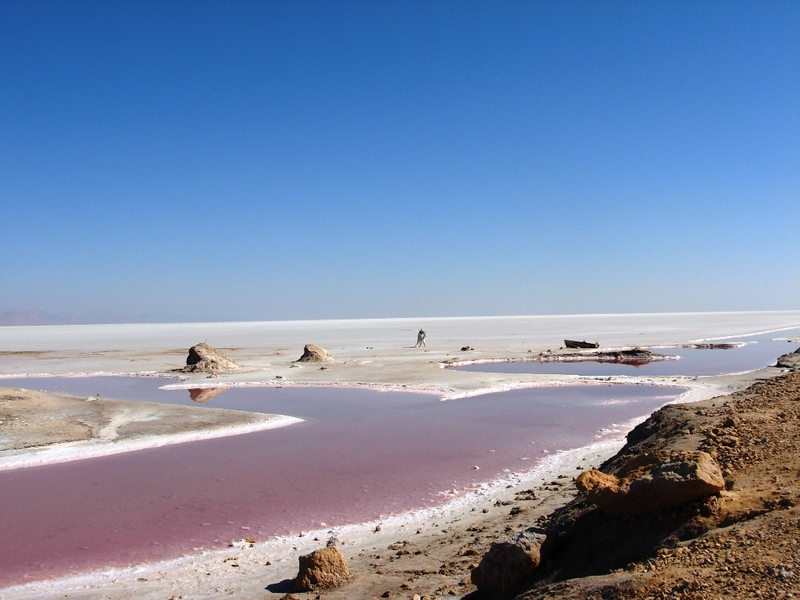 The colour of this salt lake varies with the seasons, from tempting turquoise to a rather dingy jade. Mineral deposits – including arsenic – create the changeable hues. 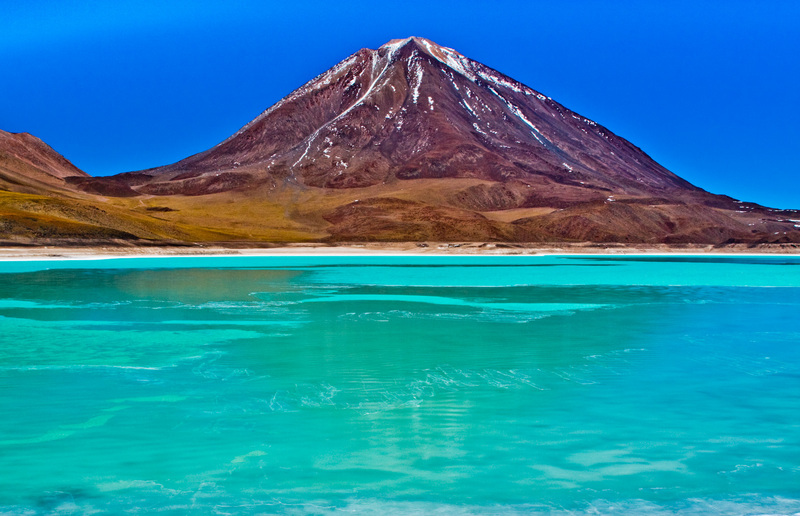 You’ll find it in Bolivia’s south-western Altiplano, close to the Chilean border. 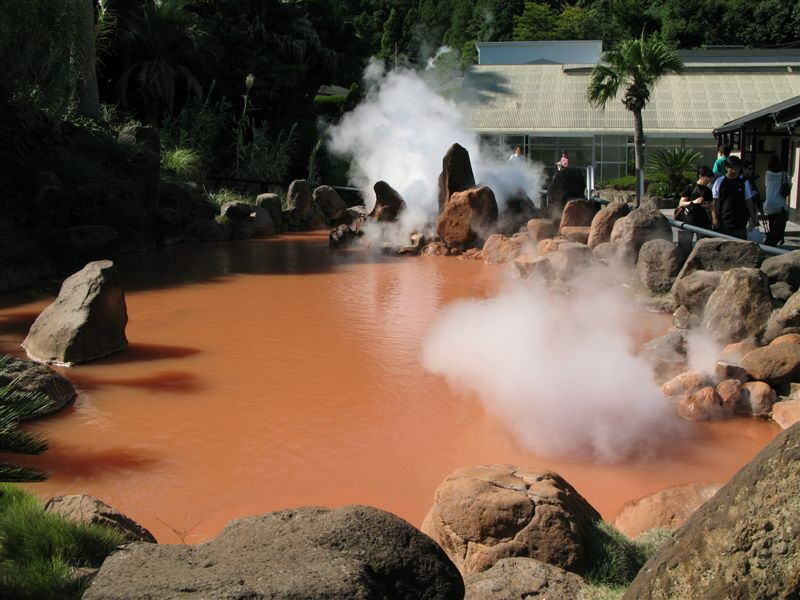 The hells – or thermal springs – are so hot that they’re used for cooking rather than bathing. There are steamy plunge pools for bathing nearby, should you fancy a (cooler but less colourful) dip. 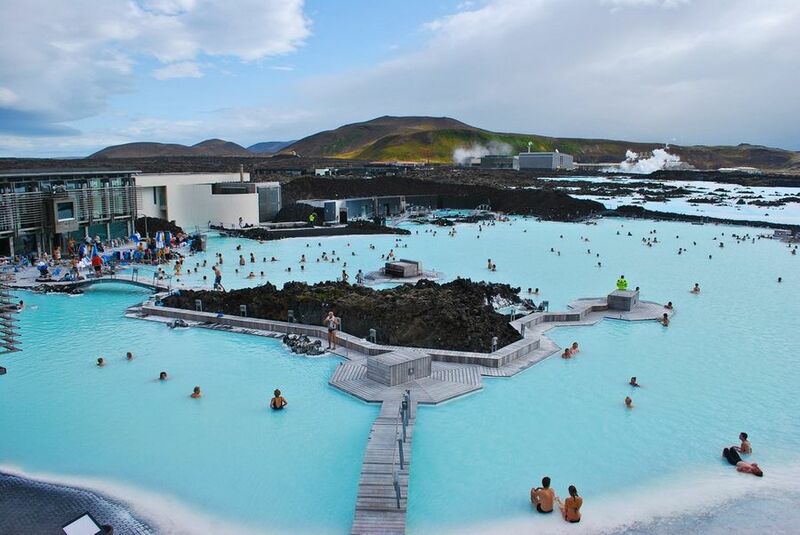 Iceland’s most famous geothermal pool pulls in the crowds for its emerald hues – created by silica, algae and minerals in the water. It’s invigorating, Instagrammable, and very handy for Keflavik Airport – what’s not to love? In the extreme heat of the Sahara Desert, the bacteria in Chott el Djerid thrive. 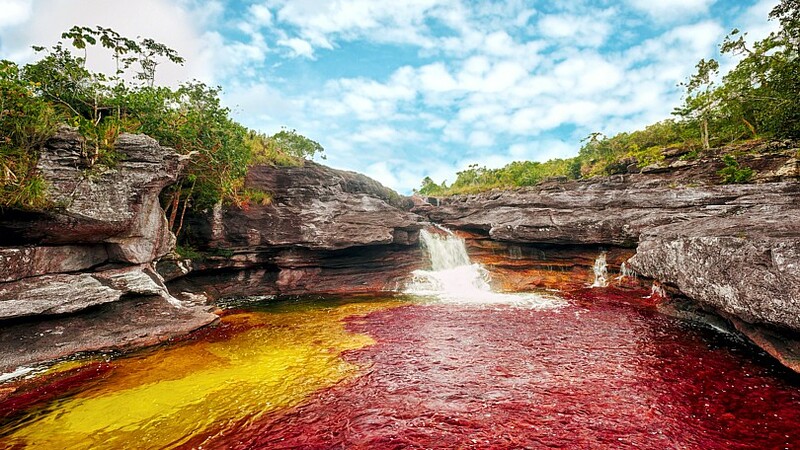 They turn the water all kinds of crazy hues – purple, pink and red are the most common colours. 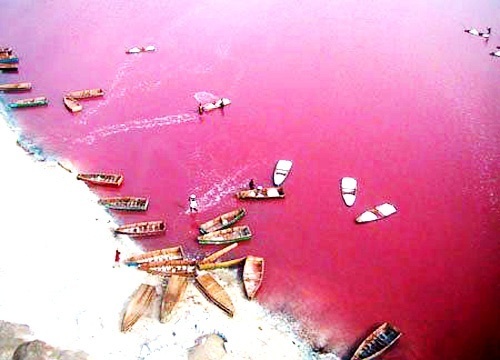 Rusty red sediment gives Betsiboka its colour. After criss-crossing through mangroves, it deposits the silt in the sea. Algae and red sediment have turned this lake scarlet – and the resident flamingos add an extra dash of colour too. From July to November, this Colombian river is a technicolour treat: locals dub it the “Liquid Rainbow”. Endemic plantlife turns yellow, blue, green and red – making it look like the water is changing colour too. 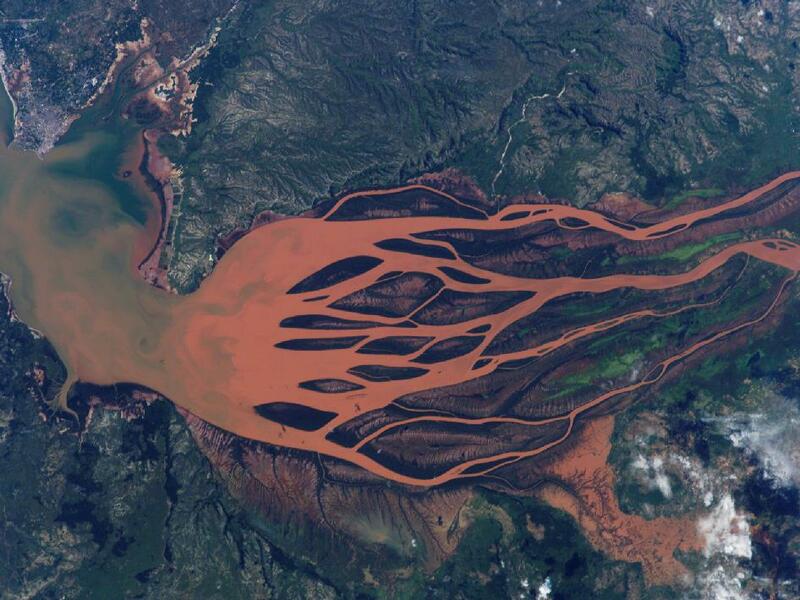 This stretch of ochre water carries 1.6 billion tons of silt every year – and that’s what gives it its colour. It’s more spectacular when viewed from afar: the water looks muddy and murky up-close. 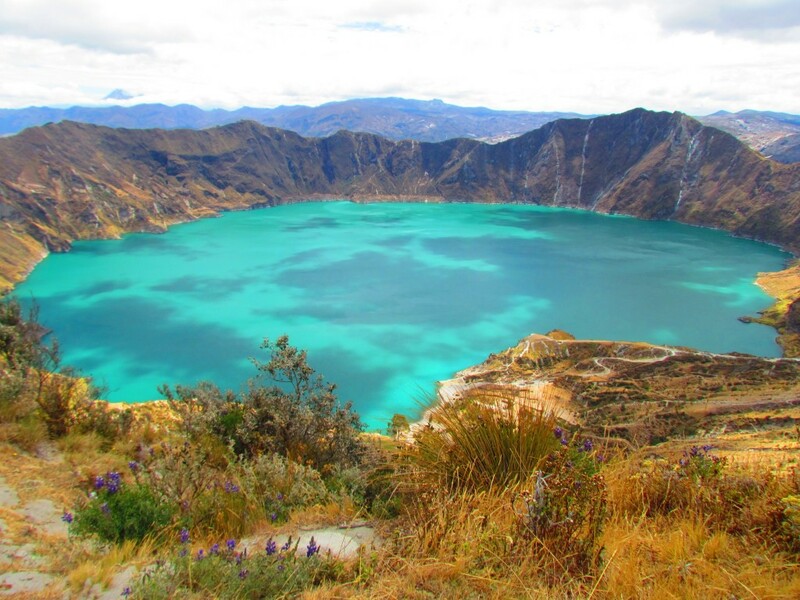 Dissolved minerals have turned this Andean volcano lake green. The caldera was formed after an eruption 800 years ago. The people that harvest salt in this lake use shea butter to protect their skin from the water’s high salt content. Incredibly, some fish have adapted to life in this hostile environment. 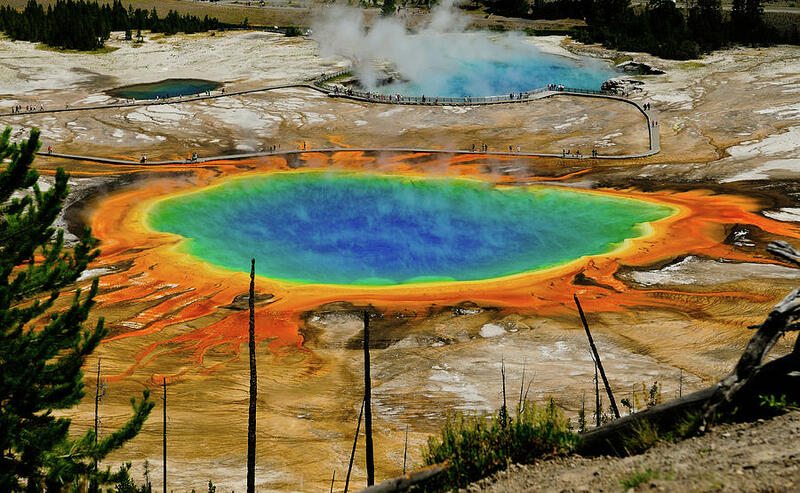 One of the world’s largest hot pools, this rainbow watering hole in Yellowstone National Park is most vivid in the spring. Microorganisms give the water its colour, although the centre of the pool is so hot that it’s sterile. 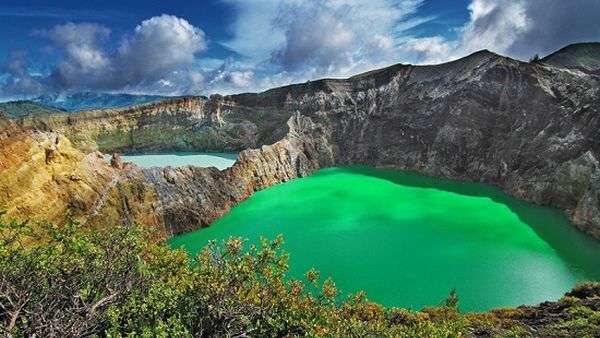 The three crater lakes of Kelimutu volcano are on the same peak, but they’re distinctly different colours. Locals believe that they are coloured by spirits. 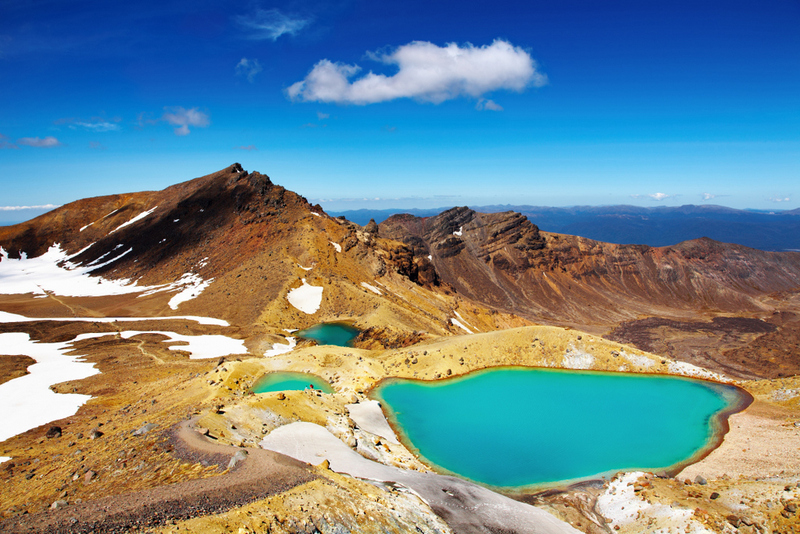 The Tongariro Alpine Crossing is one of New Zealand’s most popular day walks, through steaming volcanic landscapes and burbling hot springs. The Emerald Lakes make for a stunning picnic spot. The most influential ones in this region, for the year 2018.